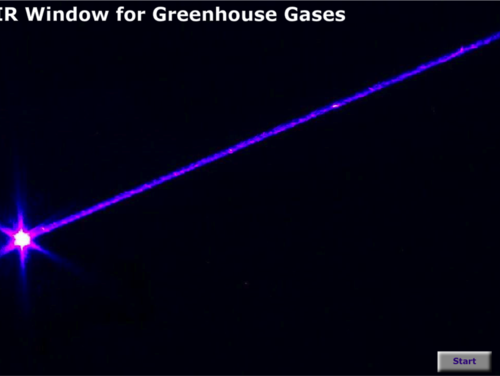 This animation allows students to explore the infrared spectra of greenhouse gases and depict the absorption spectra. 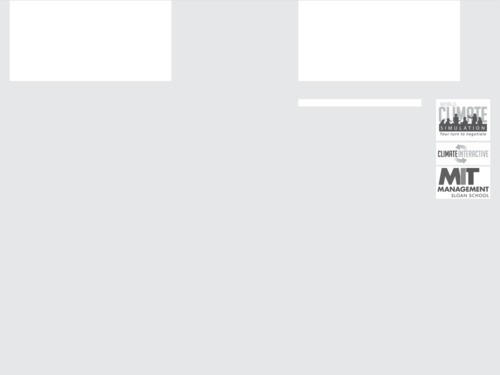 Vibrational modes and Earth's energy spectrum can also be overlaid. 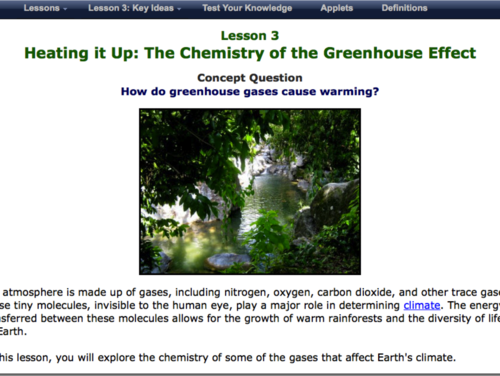 Two short, narrated animations about carbon dioxide and Earth's temperature are presented on this webpage. 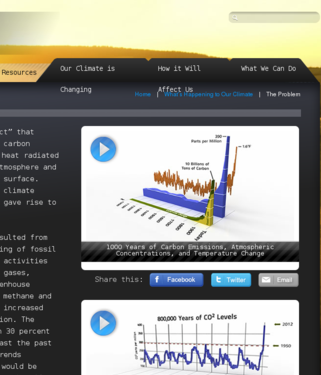 The first animation shows the rise in atmospheric CO2 levels, human carbon emissions, and global temperature rise of the past 1,000 years; the second shows changes in the level of CO2 from 800,000 years ago to the present. 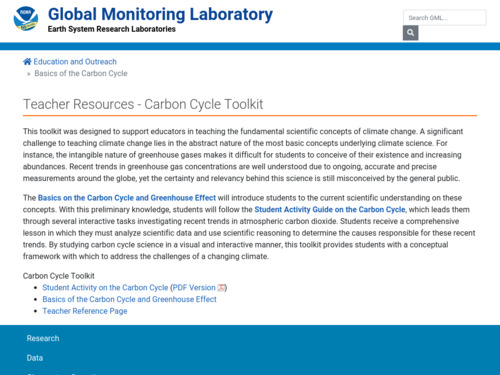 This activity from NOAA Earth System Research Laboratory introduces students to the scientific understanding of the greenhouse effect and the carbon cycle. 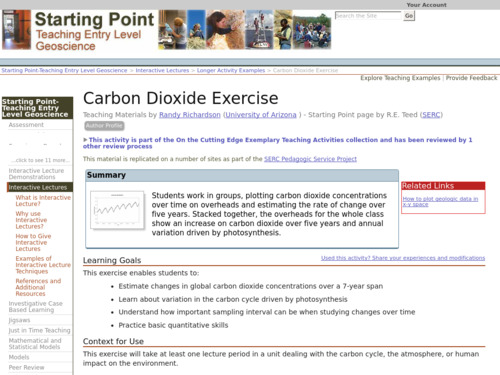 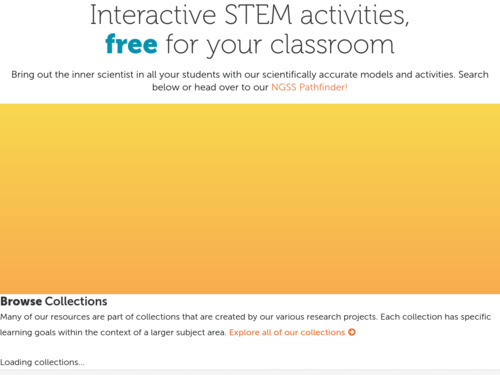 The activity leads them through several interactive tasks to investigate recent trends in atmospheric carbon dioxide. 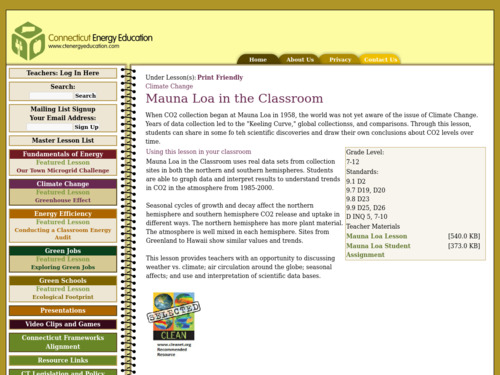 Students analyze scientific data and use scientific reasoning to determine the causes responsible for these recent trends. 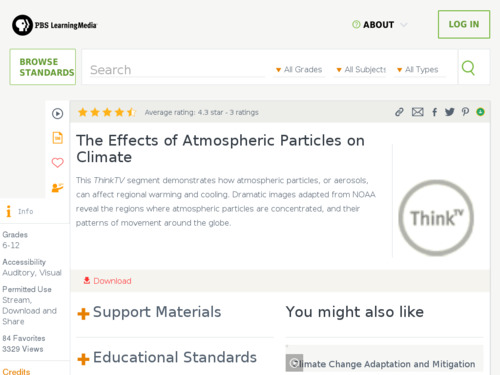 By studying carbon cycle science in a visual and interactive manner, students can learn firsthand about the reasons behind our changing climate.